The ESI Scheme was first implemented in the State of Tamil Nadu in Coimbatore and its suburbs on 23rd January, 1955 followed by Chennai and its suburbs in November 1955 and Tirupur in November 1958. The Scheme was slowly and steadily implemented in other industrial centres all over the State over a period of time and by now all important centres where employee population exceed 1000 or more have been covered. 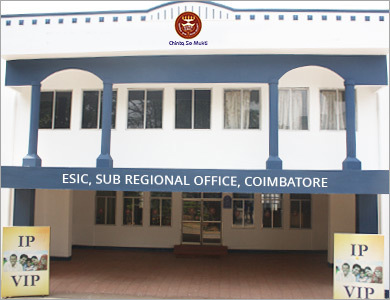 Coimbatore is one of the most industrialized cities in Tamil Nadu. It is known as the textile capital of South India or the Manchester of South India.